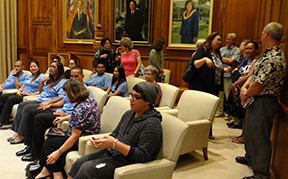 The Hawaii Community Foundation is honored to provide a wealth of financial support to qualified students and nonprofit organizations throughout Hawaii. HCF invests charitable funds in communities across the State primarily through nonprofit organizations. Our core programs are designed to support a stronger nonprofit sector as we believe that these organizations are one cornerstone of a vibrant civic society. We administer a number of grant making programs with targeted purposes or an island-based focus. We create grant programs that deliver solid results efficiently while informing our impact work and knowledge assets. HCF also assists several private foundations in delivering their grant making programs according to their specific strategies. 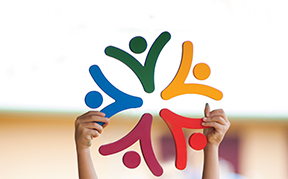 Each competitive grant programs has its own funding priorities and proposal requirements. Our goal is to provide effective, efficient, timely, and fiscally responsible services to our clients and customers. In addition, we are proud to have awarded millions of scholarship dollars to worthy college students. We awarded our first student scholarships generations ago and will for generations to come. Our section on scholarships provides information on the necessary requirements for scholarship application. We constantly commit ourselves to making sure our actions and investments are making a difference every day for the people and communities of Hawaii.